Mrs Powell-Cotton buying artefacts in Warrap, South Sudan (1933). Image courtesy of Trustees of Powell-Cotton Museum. I’m pleased to introduce some new research currently being undertaken on South Sudanese material culture. The first phase of this is funded by the British Institute in Eastern Africa and is being conducted by Dr Zoe Cormack and Dr Cherry Leonardi. The aim of our work, still in the early stages, is to establish plans and feasibility for a substantial research project involving these collections. We are currently scoping relevant collections, surveying associated documentary material and developing institutional links in Europe and South Sudan. Collections from South Sudan in European museums were mainly assembled between the mid-nineteenth and mid-twentieth century. They were created by an assortment of European travellers to Sudan. The nineteenth century was a period of commercial exploitation in what is now South Sudan, as the region was incorporated into Ottoman Egypt. Some collections were assembled by men such as Franz Binder and John Petherick with close links to the slave and ivory trade. Others where gathered by missionaries – for example by the Italian order of Comboni Fathers. Collectors like Maj. Powell-Cotton and his wife, who is pictured above buying artefacts in the remote village of Panhomweeth, have also left a considerable quantity of material. 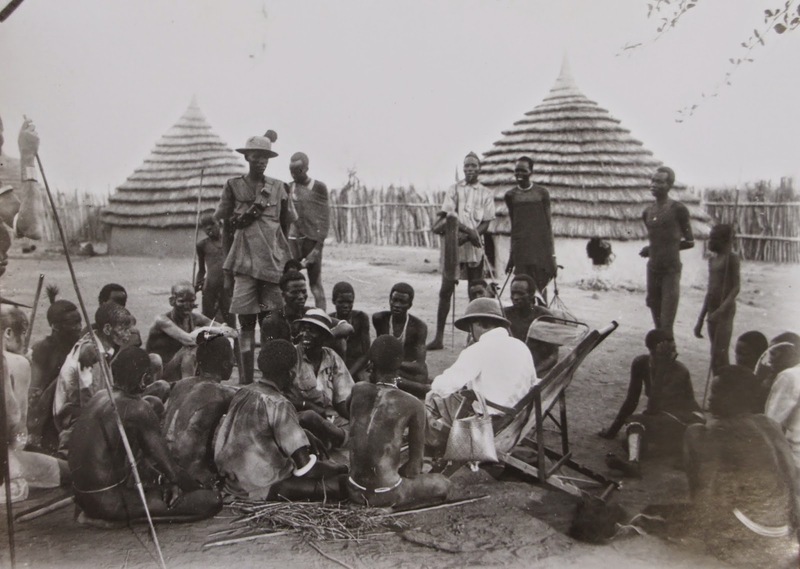 So too have anthropologists who worked in South Sudan during the British colonial period. 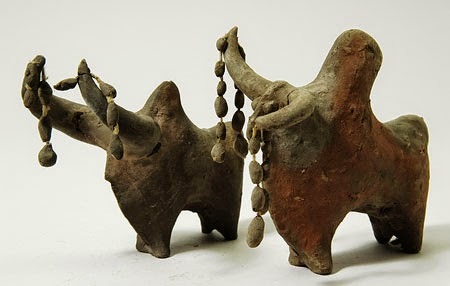 Decorated clay bulls, collected by anthropologist Evans Pritchard. Image courtesy of the Pitt Rivers Museum (1936.10.85). Broadly reflecting the nationalities of the collectors, this material is now widely dispersed across Europe. There are important collections in France, Russia, Germany, Austria, Hungary, Romania, Slovenia, Holland, Italy and significantly in the UK. Much material is also housed in ethnographic museums in Khartoum and Cairo. Rich photographic and documentary sources are also available. Some collections have been studied individually, but they have never been looked at together. South Sudan has experienced chronic civil war. Most international engagements with South Sudan are focused on urgent responses to conflict and humanitarian emergencies. 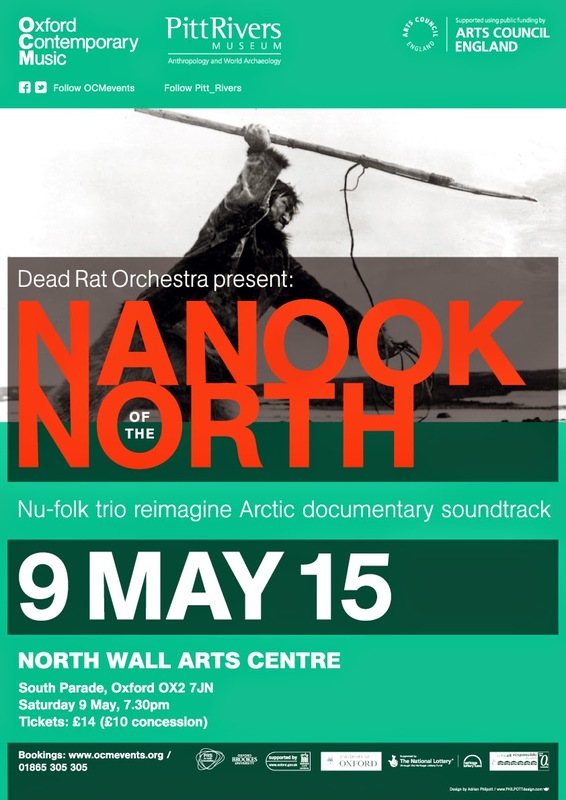 Cultural heritage has, understandably, not been prioritised in this context. Yet material culture has the potential to open up the discussion of the South Sudan’s history and cultures at a time when the overwhelming focus of national and international discourse is on war and crisis. One key concern for future work is to address museological questions about working with collections and communities from conflict affected areas. As well as helping to raise the profile of cultural heritage in South Sudan, we hope that work on these collections will facilitate sustainable links between Institutions and scholars in Europe and South Sudan. This will build on successful recent experiences, for example, The Pitt Rivers Museum’s collaboration with UNESCO to provide historical photographs for a travelling exhibition in three states of South Sudan.